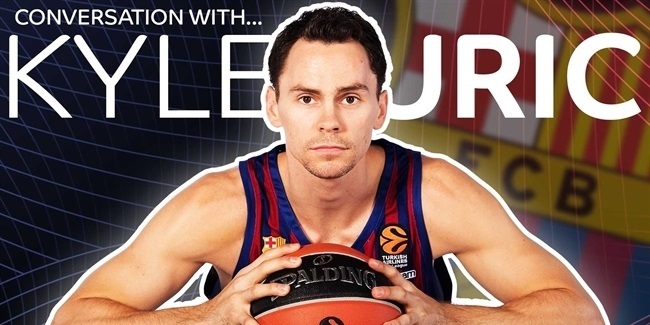 Whenever he steps onto the court, FC Barcelona Lassa center Artem Pustovyi knows that his every move is being supported – but also heavily scrutinized – by a very special fan: his grandmother. 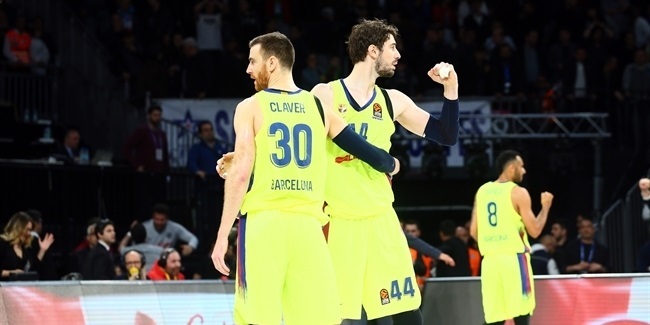 The Ukrainian, who joined Barca last summer from fellow Spanish club Obradoiro, was a late starter in basketball, a sport which nobody in his family had previously played. But that didn't stop maternal grandmother Alla from quickly developing a passion for hoops when young Artem's career took off. "When I was younger, I lived with my grandparents in a small village, close to Odessa," he explained. "Then my mom and stepfather moved to the city to find work, so I went with them. My grandparents stayed in the village for two or three more years, but then we bought a house in the city and they moved there. "My grandmother slowly started to learn the rules, step by step, and now she feels like she is a professional!" "I started playing basketball really late. I was about 15. I am the first sportsman in my family and before I started playing nobody in my family knew anything about basketball. So my grandmother slowly started to learn the rules, step by step, and now she feels like she is a professional!" Alla's passion for the sport truly developed when her 2.19-meter grandson left his native Ukraine to join Obradoiro in 2015 and before long she developed a tactical understanding for the game, which could easily rival Zeljko Obradovic or any other master tactician you may wish to mention…in her own mind, at least. "When I played in Ukraine, my grandmother didn't follow a lot of basketball," Pustovyi continued. "She watched some of my games, but she didn't follow it too closely. She was still learning about the sport. But when I moved to Spain, she started to watch it a lot. She watched a lot of TV programs about basketball and started to think about the sport. She really did her research! "And then she started to call me and tell me: 'It would be better if you did this or that, or if you tried this in practice.' For example, she saw that all teams score a lot of three-point shots, so she told me I have to start shooting three-pointers! Then she told me I have to play in every position. I said it's impossible for me to play every position, just look at how big I am! But she thinks I should be a point guard too. She told me I just have to practice everything and improve everything, and then I can do it. "If I tell her it's not possible to do something like playing at point guard, she just says: 'Hey! Don't tell me this! I understand basketball perfectly! You need to do this!'" Although not every single piece of tactical advice offered by Alla is acted upon, Pustovyi greatly appreciates the unstinting encouragement provided by his doting grandmother, and they maintain regular contact despite the geographical distance between them. "I talk to her every week on Skype," he said. "We talk for one or two hours about everything. She always supports me, she tells me not to worry and that the next game will be better if we lose, just to keep working." Her interest in the sport also keeps Pustovyi informed about the progress of his friends and former teammates back in his native land, with Alla providing a unique kind of weekly scouting report on the latest happenings in Ukrainian basketball. "I still have some friends who play in Ukraine and she follows their games, too, and then tells me all about them," he smiled. "She watches the Ukrainian league on TV and lets me know how my friends are playing, which teams are looking good and why others might be doing badly!" 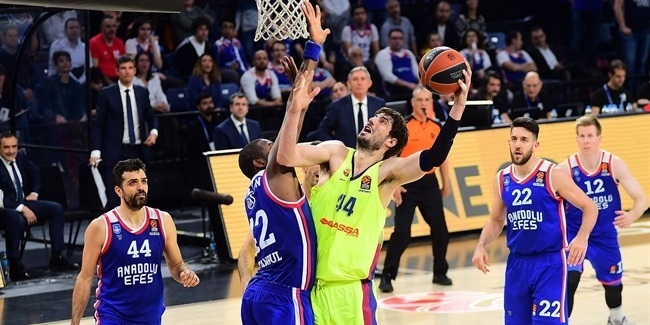 Of course, Alla's interest in her grandson's life extends beyond the basketball court and she was happy to offer her advice when he made from move from Obradoiro – which is based in Santiago de Compostela, in northwestern Spain – to the Catalan capital last summer. "She saw that all teams score a lot of three-point shots, so she told me I have to start shooting three-pointers!" "She was very excited when I moved to Barcelona," he said. "She told me it was a very good chance for me, joining a big club, playing harder games. She was very happy, but also she said now I just have to work harder! "She was pleased because she thought it will be easier for me to live in Barcelona after already spending some time in Spain, because I know the country and the people. But sometimes she still thinks I'm a small kid…she tells me to make sure I eat well, don't spend too much money. I tell her not to worry, I'm a professional!" Unfortunately, octogenarian Alla does not plan to visit Pustovyi in person – I asked to her come, but she says no, she's too old to travel like that" – so their communication will continue to be limited to modern technology. But if Barca coach Svetislav Pesic ever finds himself in need of tactical direction as he attempts to lead his team into the Final Four, he should know that a grandmother in Ukraine is always on hand. As long as he is prepared to start playing Artem Pustovyi at point guard.